This video of elephants will surely make you smile today! While the demand for elephant poaching has risen in some countries, here in South Korea, you’ll get an amazing sight from the elephants. Being a huge animal made kids think that elephants are scary and dangerous for everyone but the truth is some humans are way scarier than these adorable elephants. Do you need a proof? Watch the video below. 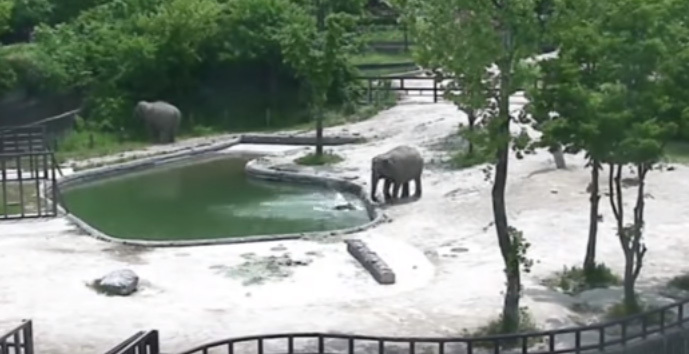 Dramatic footage from a security camera at Grand Park Zoo in Seoul, South Korea, shows how protective elephants are of their young. 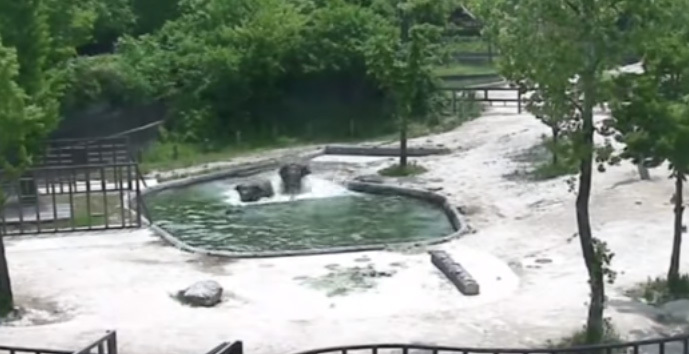 When a calf loses its footing and falls into a pool, the mother elephant appears to panic – but another adult rushes over from the other side of the enclosure. As the baby drifts towards the middle of the deep water, the pair of adults seemed to communicate silently and decided they would only be able to reach the youngster if they entered the water from the shallow end of the pool. A third adult elephant in the background of the video was separated from the enclosure by a fence – and was clearly distressed at not being able to provide a helping trunk. It paced up and down with increasing desperation as it watched the baby elephant flailing around in the pool. But the two adults managed to get the situation under control in a display of teamwork rarely caught on camera in the animal kingdom.